These fall seasons are going by awfully quickly. I spoke of of my deep-seeded love for all things autumn a few weeks ago (as good bloggers should), and now I'm happy to announce that Becky and I are at it again. 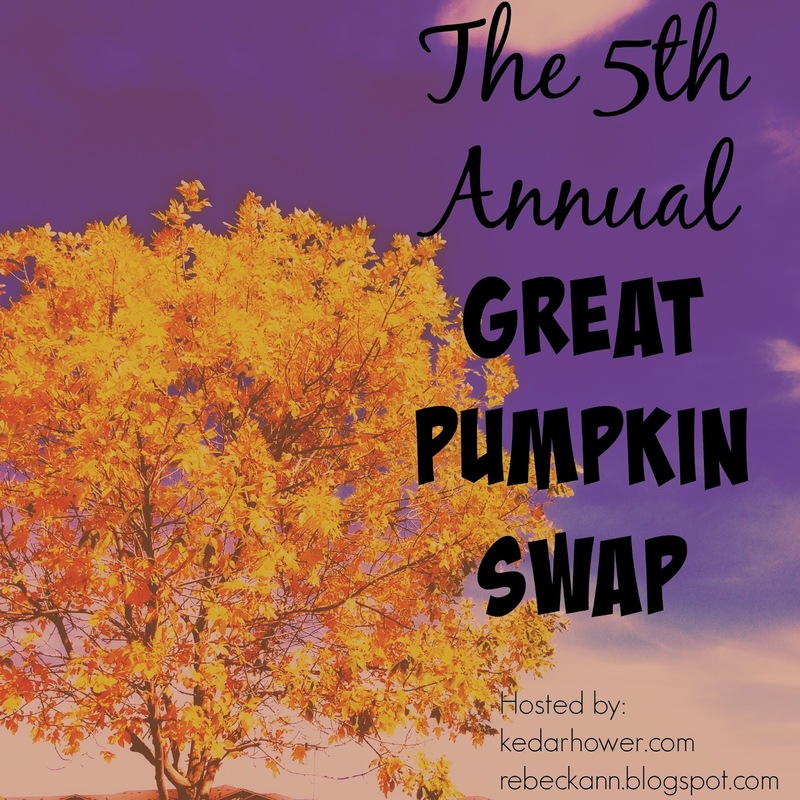 We're hosting the 5th Annual Great Pumpkin Swap! I know blog swaps are a *bit* 2012, but it's FALL. We have to celebrate it, right? 2. By Monday, October 10th, you will get an e-mail from Becky or me with your swap partner. 3. Once you know your partner, please make contact within 48 hours (by Wednesday, October 12th) to get to know a bit more about each other. 4. Spend $15-$20 (excluding shipping) to put together a fun fall themed package for your partner. 5. Mail your package on or before Tuesday, October 25th. 6. Link up with us on Tuesday, November 8th to share your swap goodies! Happy shopping, happy swapping, and let us know if you have any questions! I'm so excited for this swap! This just feels weird now because it's not fall here. And, I don't want anyone that I'm matched up with to be disappointed that my lack of "fall" treats may be limited. But, hey, I'm tossing my hat in the ring anyway. Also the tree picture you took is awesome!